FOCUS: STEWARDS OF THE EARTH This spare yet lush immersion in the daily interactions between a farmer and his pigs follows what grows from an essential awareness of kinship. Conscious of wielding the power of life and death over what society has agreed are animals to be eaten, the man still recognizes his animals as fellow sentient beings. He takes his obligation to the herd seriously, caring for it humanely. He learns from the pigs how to tend them without causing undue stress and likewise how to manage himself as their keeper. Gorgeous cinematography and a meditative score enrich this unflinching look at the season of nurture and communion, which must inevitably give way to the season of slaughter. A decade into this way of life, this pig farmer’s awareness ripens into a harvest of clear-eyed acts of compassion. 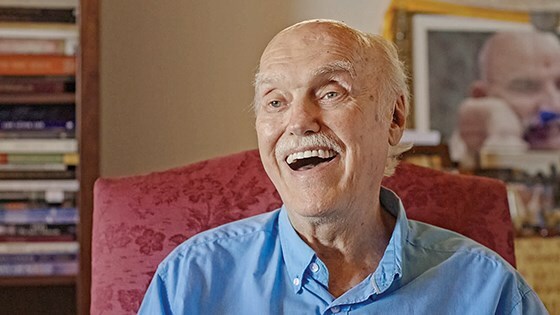 A profound and poetic encounter with cultural and spiritual icon Ram Dass at his home on Maui in the final chapter of his life. 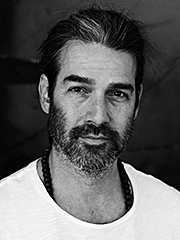 Derek Peck is a California-bred, Brooklyn-based filmmaker who has made several intimate documentary portraits on notable cultural personalities, including Marina Abramovic, Peter Beard and others. This is his first film to appear at festivals.